Solar Power, done right, has a 0 month time to pay back on investment, and begins earning you an income from the first day it is put into operation. If you (or your company) pays taxes, then the first year income can be 30% of the cost of your system plus one full years worth of utility payments eliminated. But to earn this income you must purchase and own the system. This is how companies selling PPA’s and Leases are making their income. Depending on what geographic area within the United States you desire to consider, the ratio of Third Party Owned Solar Power Systems (Power Purchase Agreement (PPA) or Lease) to Solar Power System Purchases goes something like 8 to 2. In some places you will be hard pressed to find anyone with a solar PV power system who actually owns the thing. According to the Solar Energy Industries Association (SEIA), in New Jersey, just 1 out of 10 solar power systems are actually owned by the property owner. Now those are some amazing marketing and sales results. Viewed for the outside, these ratios would lead any reasonable person to conclude that PPA’s are by far, the best deal out there. If 9 out of 10 of my neighbors chose a PPA rather than to purchase their solar power system, it must be the best way to install solar power. I have so far never recommended a PPA or Lease to a client in spite of the fact that I could sell them. Of course, while I have decades of experience as a Mechanical Engineer including a background in inertial confinement fusion energy, I am a relative newcomer in the solar arena. So maybe I have it all wrong. You be your own judge. Sungevity, shows the solar vs company charges in an unusually honest graph. Wouldn’t you rather have the companies income be your income? Here is a Solar City video that goes into the overall program. Notice that if all you see is this video, it seems like they are showing you every option available, but really, they are directing you toward their PPA and Lease options. Here is Vivint Solar’s pitch. And another from Vivint Solar, I have to say, I really enjoyed this video! You can find more videos on YOUTUBE.COM by searching for Solar, Lease, PPA, Purchase. Often, as in the Solar City video above, the solar sales person will come offering you different options. You could purchase your solar power via a PPA, or via a Lease. You can pay for nothing up front, or pay a little up front to get more savings, or pay a lot more up front and earn even more savings over time. It sounds as though you are being given every one of the good, better, and best choices for acquiring solar power. But what you are really being shown are different views of the same coin. Let’s dig deeper. PPA’s enable virtually anyone to have a solar power system installed on their property. The company will take out permits for it, install it, and if need be, repair it. Great, I love it. Often the savings on day 1 are about 15 percent of your bill. A $100 per month bill becomes $85, a $300 per month bill becomes $255. And what’s more, we lock you in to these savings so that in the future when your utility rates go up, your PPA payments won’t. Your savings over time will grow, just sign here, now, please. But let’s inject a little reality. 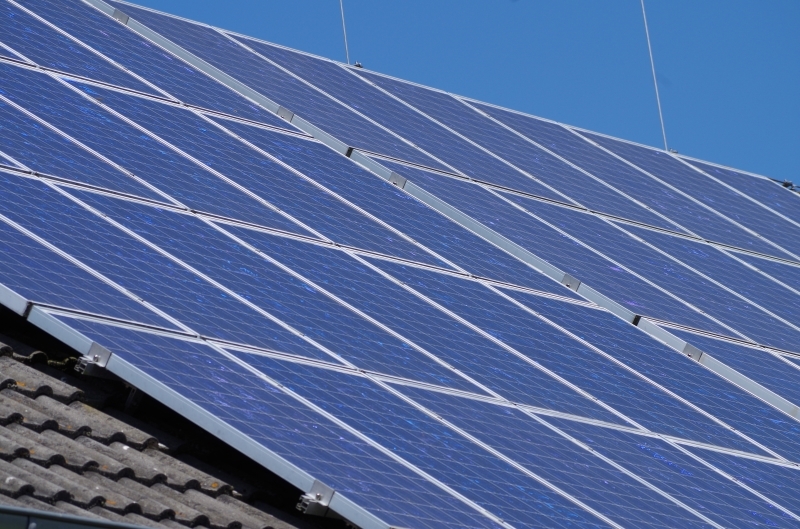 When you sign a PPA contract, you are NOT purchasing a solar power system. You are agreeing to purchase electricity, every month, for 20 years, at a price you agree to today. You will make payments, for 20 years, that are around 85% of your current utility bill. And, you won’t have any maintenance costs, the company will take care of everything for you. No money down, no maintenance, no hassle, it all sounds great. What is not to like? Well, if I decide to sell my home, having a PPA is deemed by real estate agents to be a large negative for starters. And if the house is vacant for months or even years, the PPA payments continue even though no electricity is being used. OK, but you don’t plan on having the home vacant, and you don’t plan on selling. No maintenance is nice. So the lack of maintenance benefit of a PPA or Lease is really a Red Herring tactic used by the sales people to scare customers away from purchasing their own solar PV power system. My 1975 stereo is still working great. Today’s solar equipment is likely going to last 40 to 50 years, and the expensive panels are warranted for 25 to 30 years. Interestingly, many people can get a 12 year loan on a purchase for a solar power system at the same payment rate as a 20 year PPA or Lease. It turns out that on the one hand you could take out the PPA and everything is done for you. They really do not want for you to look into how to do the things yourself. All you do is to make payments for 20 years. On the other hand, you could take out a loan and the payments will end in 12 years. After that you will get another 13 to 18 years of operation under warranty, plus perhaps as much as another decade or two before repairing the system no longer makes sense. In other words, you could wind up with 20 to 40 years of free electricity. First of all, It has been shown by Lawrence Berkeley National Laboratory and others that your property value will go up by an amount typically equal to the purchase price of the solar power system. Understanding this is key to understanding why purchasing your own solar power system is so dramatically better a choice than the PPA or Lease options. On day 1 when your power system is put into operation, your property equity increases by an amount equal to the cost of the system. You have NOT made an investment in solar energy. You have made an investment into your property value just like adding another 200 square feet in an addition to the home. What this means is that each and every penny generated by the solar power system should be thought of as profits. Your equity break even already took place via property value increase. In 7 to 10 years depending on your system details, you will DOUBLE your equity (not pay it back). The first year you will earn 30% Federal tax credits if your system goes into operation prior to the end of that program. And beyond that, each and every month, for decades, you will be saving your after tax dollars you used to send off to your utility. Even purchasing your system via a loan is a net zero equity swap. You increase your property equity, and you increase your debt liability. Cost Equity Increase – Cost Debt Liability = 0 Net Change in Your Equity. So even with a loan, all of the savings and all tax credits are pure profits you get to keep. To recap, having a PPA or Lease is a negative for future property sales. Having a solar power system that is owned, is a positive. Homes with solar power sell faster and at a higher price that reflects the size of the power system. If you purchase a solar power system using cash in a 2% CD, you swap out an equity instrument paying you about $15 per month in before tax dollars, for a fixed equity instrument (the solar equipment) that generates about $150 after tax dollars income. 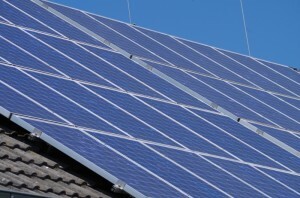 If you close up the house, for sale or any reason, the property racks up electricity credits. If you do so with a PPA or Lease, you continue making payments even though no one is using the electricity. If you purchase your solar power system with cash, you own it. If you pay for it via a loan, then in about 12 years you own it. In both cases, you will likely get decades more free electricity. If you sign a PPA or Lease, you will make payments for 20 years, and then you will have to purchase the system if you want to own it. And, the price after 20 years of payments, just might be as high as the original system cost if they use a fair market valuation scheme based on future electricity production. I can imagine there may be some instances with non profit organizations where a PPA may make sense. But I haven’t seen it yet. My recommendation is to crunch the numbers on your own situation. But be aware of the things the PPA / Lease sales people aren’t going to tell you about. Be certain to find some local solar companies that focus on building and selling you the equipment (the systems themselves and not the PPAs or Leases). Most of you, I will never meet. So hopefully this information helps you get the best solar deal you can. Find the smaller solar installers close to you and pick the best of them. And make sure that the company you select focuses on actually selling the systems, rather than PPA’s or Leases so that the pricing you get is competitive with local companies that also sell the equipment. Previous PostIntroduction to this SiteNext PostWhat is Dark Energy in an Aether Universe? Hello there. I discovered your site by means of Google whilst searching for a related topic, your website came up. It looks great. I have bookmarked it in my google bookmarks to visit then. I just want to say I am very new to blogging and site-building and definitely liked this web blog. Most likely I’m going to bookmark your website . You absolutely come with fantastic articles and reviews. Thank you for sharing your website. What is Dark Energy in an Aether Universe?